From the sunny blue skies of Spain to the rainy grey skies of London, it’s back to normalcy after this weekend. It’s been a wonderfully refreshing break with a healthy dose of vitamin D to kickstart 2014. 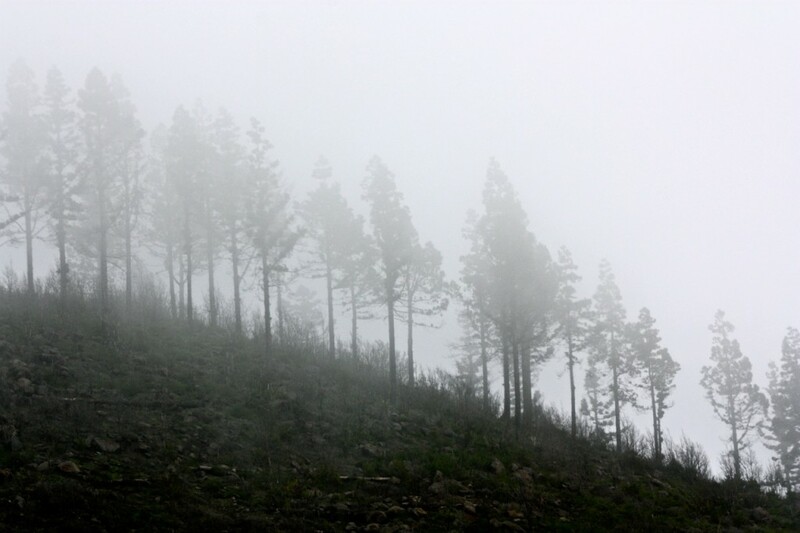 Photo: Driving into the foggy forest in the middle of La Gomera in the Canary Islands, Spain, for my 30th birthday weekend at the end of December. I love stopping by Diana’s blog exPress-o daily as I always stumble upon something inspiring. Yesterday, she shared a link to Kinfolk who posted people’s new year rituals from around the world: Macedonian, Iranian, Danish, Colombian, American and others. Have you been following the #followmeto project? Here’s the latest shots of a Natalia Zakharova leading her photographer boyfriend Murad Osmann around the world. On the topic of photography, check out these stunning black and white images from Jerusalem based photographer Guy Cohen. It’s all about shadows, light and lines. 5 recipes to try: Dip n’ Share Eggs; Mick’s Easy Peasy Pumpkin Soup; Torta de Santiago; Salty Honey Pie; Broccoli and Parmesan Israeli Cous Cous. Also check out Fusion Cuisine Around the World from my favourite travel mag, Afar. Have you cooked or baked anything tasty lately? Nothing like whiling away an hour or so in a quirky bookshop, especially the independent ones. Here’s 10 bookshops around the world that are worth a visit. Where is your favourite? What do you think of moving London’s cyclists up to the sky? From my travels, I’d say the Dutch and the Danes have it best, but I guess that requires a full culture shift and plenty of space. Do you have any new year’s resolutions to learn another language? One of mine is to drastically improve my español. Here’s a fun post from Matador: 7 Signs You’ve Made It In A Foreign Language. 5 of my favourite fashion bloggers to follow: Face Hunter; Atlantic-Pacific; College Vintage; Street Style Aesthetic; Garbagelapsap. Leave other recommendations in the comments please! Copenhagen was one of my favourite places to visit in 2013. Here’s some photos of beautiful reflections of the city on a rainy day. Some Copenhagen fog photos. Plus, a lovely Copenhagen photo diary post by Kris Atomic. And, the top 5 posts on Little Observationist from 2013: Artist Interview: Francois Nielly; Street Art in Amsterdam; Recipe: Chocolate Chip Banana Bread; Author Interview: Siobhan Wall; Olive Picking in Kardamyli, Greece. Enjoy the first weekend of 2014!